What Do Snappers Taste Like? Fresh Snapper: How to Tell One? Considered as a reef fish, snappers are harvested in the Gulf of Mexico, South Atlantic, and Caribbean waters. It is a strange looking fish having a bulky look, big mouth and teeth. In most cases, it inhibits water from around 30 feet to 200 feet, but you might find it as deep as 300 feet from time to time. You might find wide varieties of snappers too. To be exact, there are seventeen types of snappers. 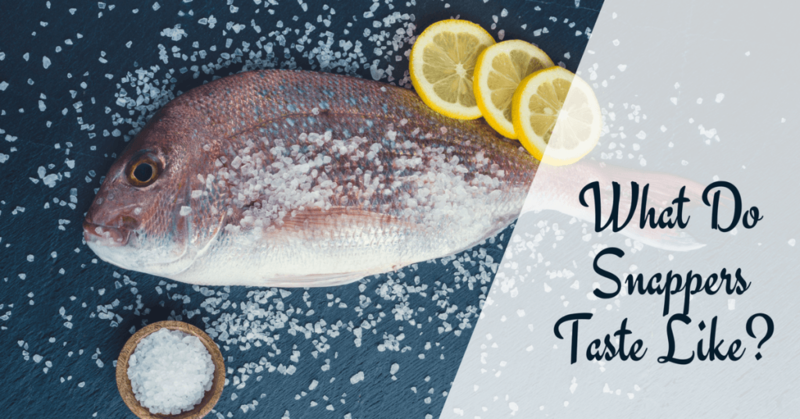 However, the most common ones that you might find in most seafood restaurants and a favorite by the majority are the yellow and red tail snappers. So, what do snappers taste like? With regards to taste, snappers are moist, and so they offer a mildly and fresh taste. They also have a lean and firm texture. The flesh of snappers is delicate, white and it is tinted pink from the red skin. So, would you like to try snappers now? 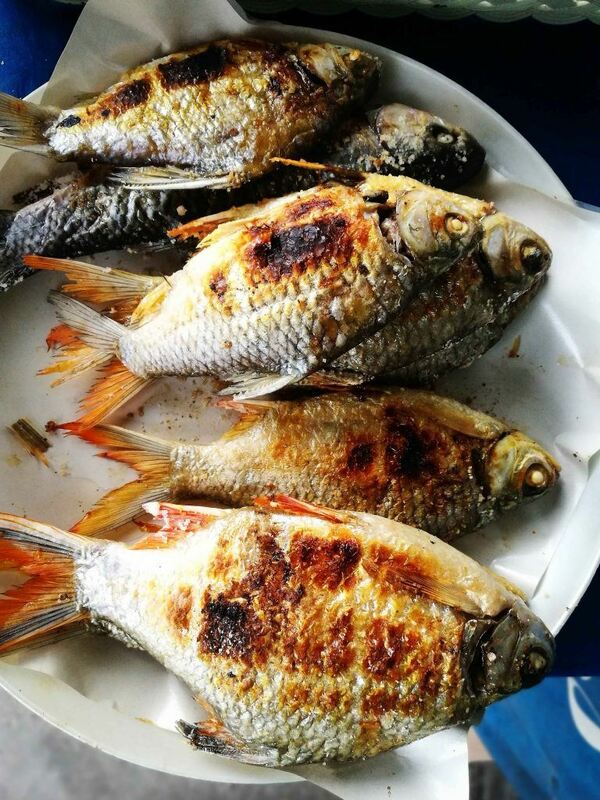 Before proceeding to try the taste of the snappers, you should first be aware on how to choose the fresh ones. For those who plan to buy the said fish fresh from the fish market then there are few markers to look for in order to make sure that you are getting the best and fresh seafood for the money. You have to look for snappers with eyes that are big, bright and plump. Don’t buy snappers that have already sunken in or fish with dried up eyes. Once you buy a fish which is gutted, then check the backbone. And the bloodline along the backbone must be bright in color. Of course, the fish must have a fresh ocean smell or something along the salt water, however, should be pleasant to smell too. For those who are purchasing filleted fish, the fillets must be elastic, and firm flesh once stabbed bounces back up. There is a need for the meat to be moist having no browning and must appear to look translucent. And there must be minimal bruising or even red blotches on the meat. These are some of the things that should be considered as you plan to buy fresh snappers. Snappers are among the most famous deep-sea food delicacies since they respond well to the most cooking methods. They might be fried, baked, broiled, grilled, steamed and poached. And regarding seasoning, butter, lemon, and fresh chili peppers are the best friends of snappers. 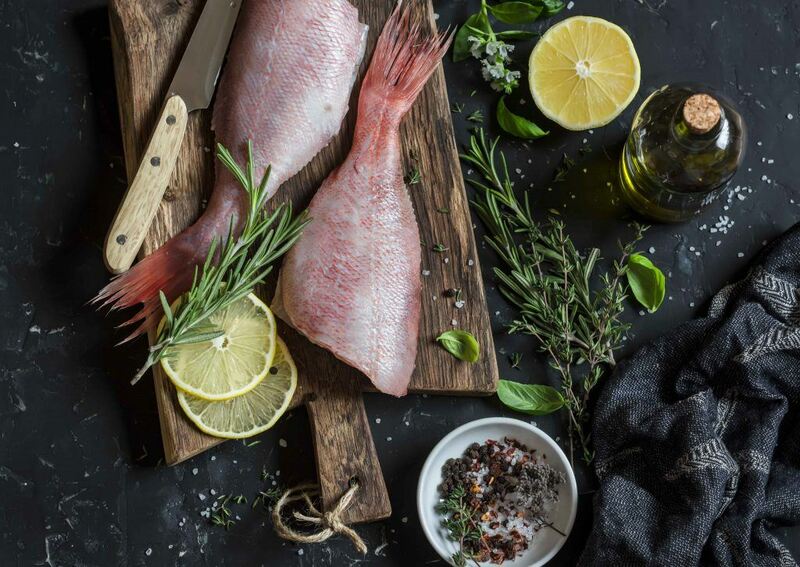 You can choose to bake your snapper. To do so, only cut a few slits on every side of the fish in its thickest part of the fillet yet not all the way to its bone. After that, lay it in the ovenproof casserole dish then bake for about half an hour at 25 degrees Fahrenheit. Once done, its skin would be crispy, and its interior would be moist and juicy. And for extra flavor, marinate your fish before baking after you have already cut the slits on its sides. For a Mexican feast, a spicy marinade might be considered and a soy sauce base for the Asian cuisine. For an easy and fast way of cooking snapper fillets, sautéing is considered. Since the fish is known to be flaky, you have to use a non-stick skillet, or you can sauté using olive oil so that it will not stick to the pan. However, a stainless-steel pan with oil might produce better browning. So, better season the fish with pepper and salt and lay it with the skin side down in the hot pan. Then, cook the fish for around three minutes on every side up until it becomes flaky and opaque. Indeed, a sautéed snapper is delicious once topped with olives that are laid on the bed of greens or once covered with salsa. Or you might serve it with green salad having Caesar dressing. 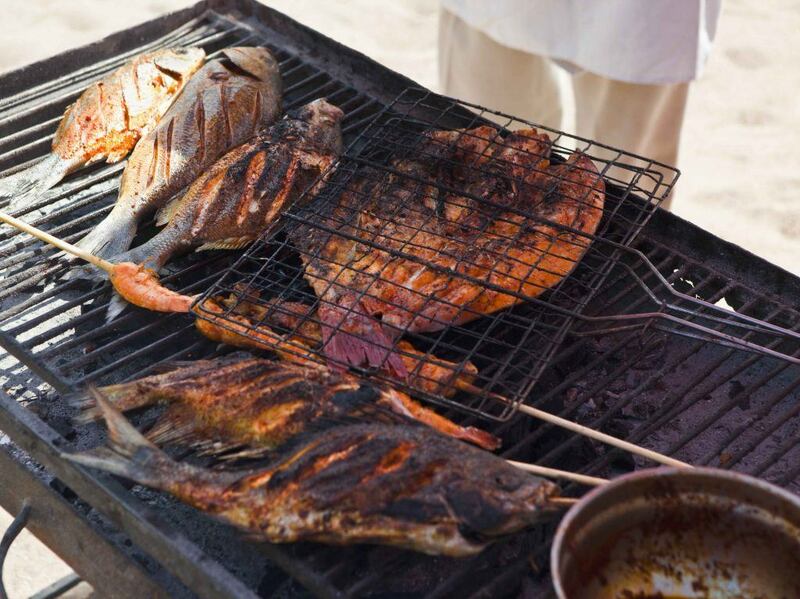 You can use grill baskets for the snapper fillets to remain intact once cooking, so you don’t see big pieces of the delicious meat to fall into the flames. Once you don’t have the grill basket, you have to make sure that the grill is clean as for preventing sticking. There is a need for the fish to be cooked for about seven minutes on every side. Carefully turn the fish so that it doesn’t break. Grill the veggies on the skewer or corn on the cob to serve as the sides, or you might lay the snapper on the bed of the couscous. On the other hand, before cooking snappers, there is a need for you to prepare them by removing some of the parts like the backbone, head, fins, small pin bones, and tail. After that, you are ready to go! But, be careful as you turn the fish during cooking since it is very delicate. You might use an angled slotted spatula together with a curved lip to turn the snapper together with a second spatula as for holding it while turning. And another remarkable thing about snappers is the fact that it is so good for one’s health. It has iron, calcium and also full of protein. Snappers are as well low in saturated fats and cholesterol along with four ounces of it that contain only 110 calories. Eating snappers will never give you any regrets. To learn more about what do snappers taste like, you have to be familiar of some of the snapper recipes. Indeed, there are many recipes you can choose from as to how to cook snapper. For those who don’t mind having the head of the fish, this recipe is the best option to consider. You could never go wrong as you combine soy sauce, garlic, rice wine, ginger and sesame oil. This combination perfectly complements the snapper. 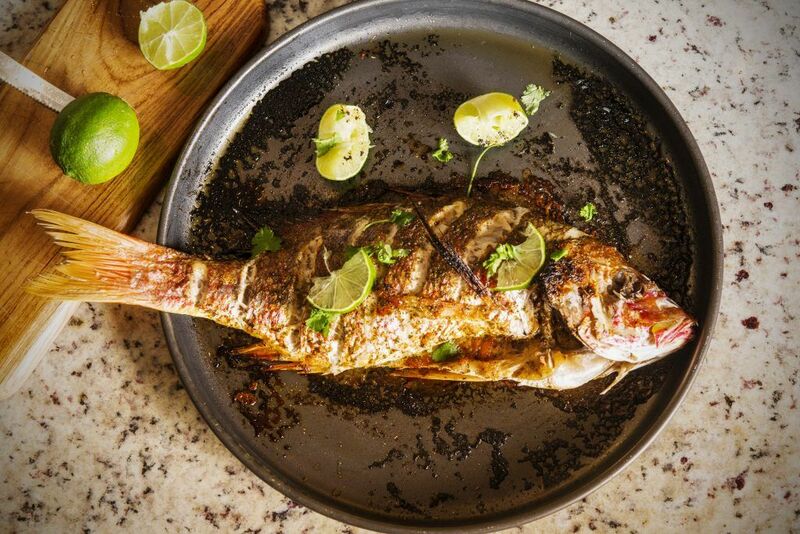 You need a whole snapper having its head and tail in this kind of recipe. The recipe sounds intimidating, right? But this one so effortless to make! Though it might consume almost couple of hours, still the result is worth it. The fish in the salt crust is so delicious, and it perfectly goes well with the bitterness of the eggplant puree. The said recipe will make you feel like you have your meal right next to an ocean. Isn’t it great, right? 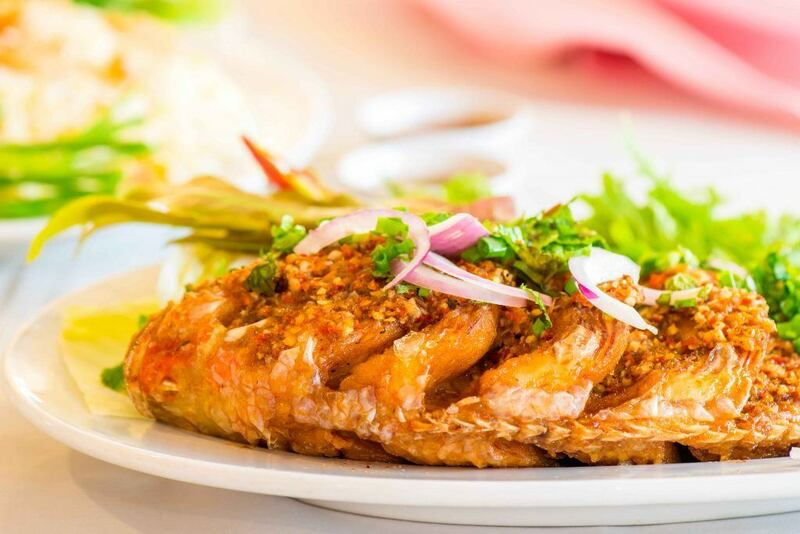 Of course, you must not forget that fried fish is great. Snapper tastes heavenly once it's fried. The snapper would be flakier and juicier. Simply serve it with rice then add lemon and enjoy! You just have to be careful not to burn yourself as you make it since frying snapper could be a bit tricky. Barbecue is definitely popular and delicious, and it is something which you could find in the kitchen of most Americans. It is in fact sold everywhere, and some of the restaurants would even have different varieties of sauces. So, what makes BBQ snapper unique? Well, it doesn’t just come in the sauce form, but it could also be in its dry rub form and also a marinade. This recipe will never let you down! This one might be an ideal choice because of the perfect combination of the crusty surface and its mild core. This recipe is definitely delicious. Pecans indeed increase the nutty crunch, and its herbs, as well as seasonings, will fulfill your entire experience. You might also put some honey mustard and probably enjoy a fabulous and multi-flavored dinner! Try some of these recipes, and you’ll definitely discover the real taste of snappers. There you have it! I assume you now have an idea on what do snappers taste like. Again, it is a sweet and mild fish having a flaky meat. It is also juicy and slightly pink regarding color. Of course, it cooks well with whatever method you want. And you have the freedom to choose whatever recipes just to enjoy the taste of snappers. How did you find the article? Please leave your comments below. Don’t forget to share this article with your friends and family to let them know more about snappers. 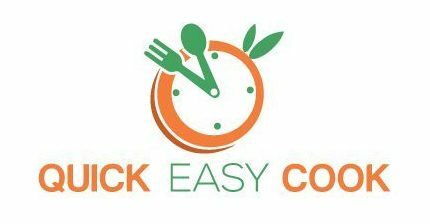 Happy cooking everyone!